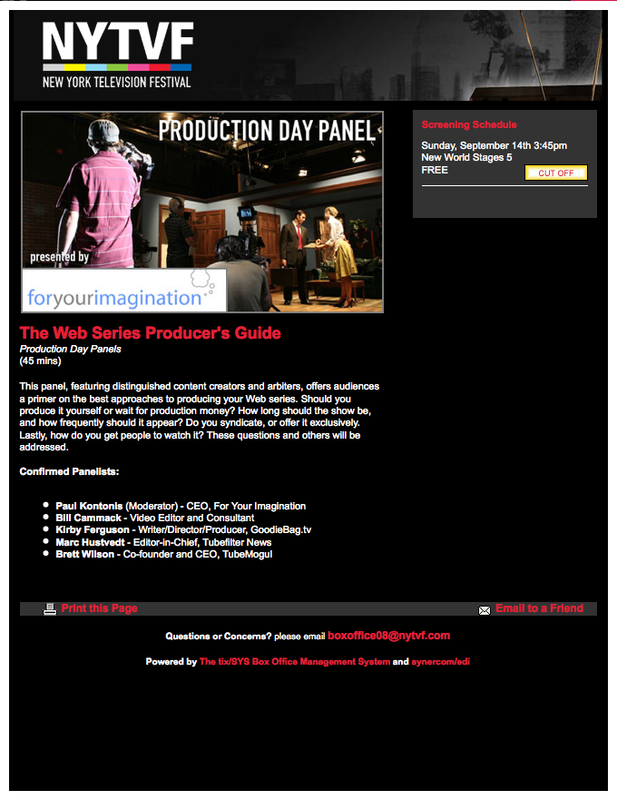 My friend Paul Kontonis (ForYourImagination.com) invited me to sit on a New York Televison Festival (NYTVF) “Production Day” panel entitled “The Web Series Producer’s Guide” with him and mutual friend Kirby Ferguson (GoodieBag.tv) this Sunday, September 14th @ 3:45 pm. 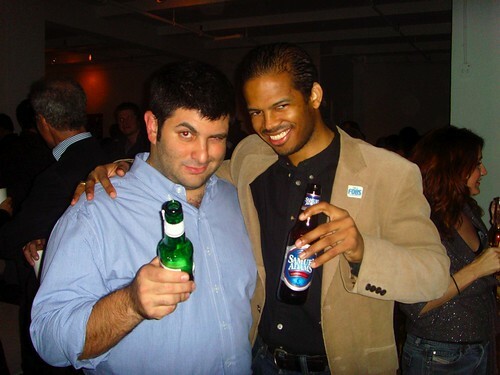 Click here for permalink to the NYTVF page. Also featured on this panel are Marc Hustvedt (TubeFilter) and Brett Wilson (TubeMogul.com). So.. If you happen to be @ the NYTVF this Sunday, drop in to ‘New World Stages 5’ and check us out.